Excel Modular Buildings have over four decades of experience in modular building hire and sales, supplying modular and portable buildings for a variety of circumstances. 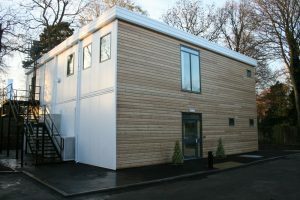 Ideal either as standalone installations or as extensions to existing properties, modular buildings are a flexible and versatile solution to almost any construction need. Certified by Constructionline and Acclaim Accreditation, our expert modular building sales team are standing by to help you through the entire process, from design to construction. Modular buildings can be used for a number of applications, and have seen use as offices, canteens, classrooms, dining rooms, health care premises, and even day-care surgeries. In addition to being far quicker to install than a more traditional permanent method of construction, modular buildings are also 100% recoverable, meaning that such a building can be conveniently re-located to another site, or even re-sold once its initial purpose is fulfilled. 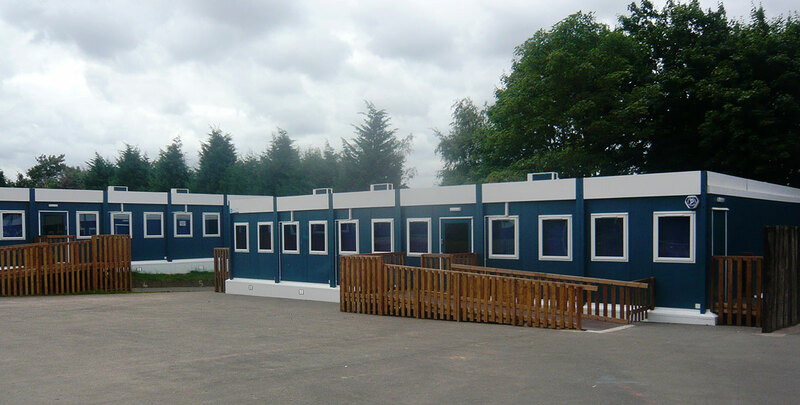 Modular building hire is therefore an affordable, comfortable, environmentally sound and very popular choice for temporary projects of all kinds. 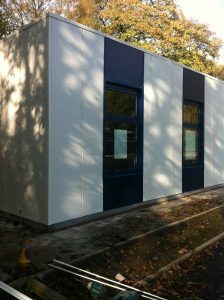 Here at Excel Modular Buildings, our modular buildings are intended to suit a variety of requirements. We offer open plan layouts, as well as more detailed structures that can be partitioned to form separate office blocks. Our expertise in the area of modular building sales also allows us to cater for more ambitious undertakings, including constructions of up to three stories in height. Whether you choose modular building hire or purchase, all of our buildings are delivered directly to their designated sites as pre-finished modules, with all the heating, lighting, flooring and wall covering requirements already in place. If you have no experience of managing these type of projects why not ask for our Turn-Key Service? At Excel, we are committed to applying our core values of fairness and loyalty to all of our customer dealings, providing the same excellent service whether you choose modular buildings for hire or purchase. Our modular building sales team will be able to advise you at every stage of the process, even offering advice on site operations and building regulations management. For more information about modular building sales or hire, please do not hesitate to contact us on 01482 488664 and we will be happy to answer your query.